Photography by Zoe Pelchat-Ouellet and fashion by Frederique Gauthier. Click for details. Mathilde wears a jacket by Topshop, t-shirt by American Apparel, pants by Zara and boots by Dr.Marten. Samuelle wears a jacket by Topshop, t-shirt by American Apparel, pants by Gap and shoes by Vans. 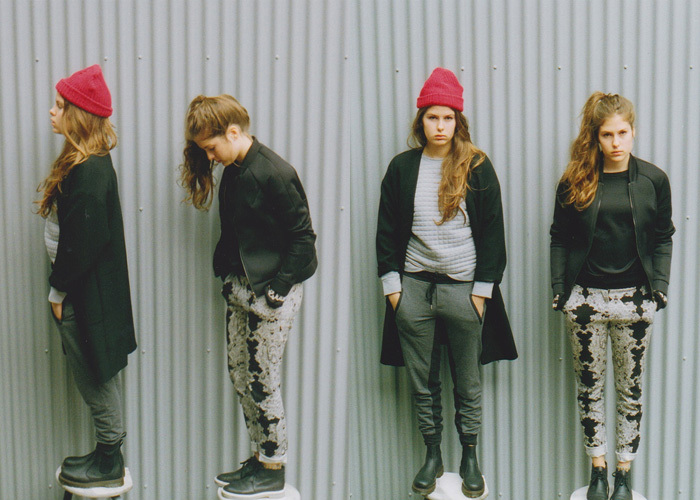 First row: Mathilde wears a jacket by Zara, shirt and sweatpants by Club Monaco, beanie by American Apparel and boots by Dr. Martens. Samuelle wears a jacket by Nameless, shirt by Simons, pants by H&M and shoes by Alexander Wang. 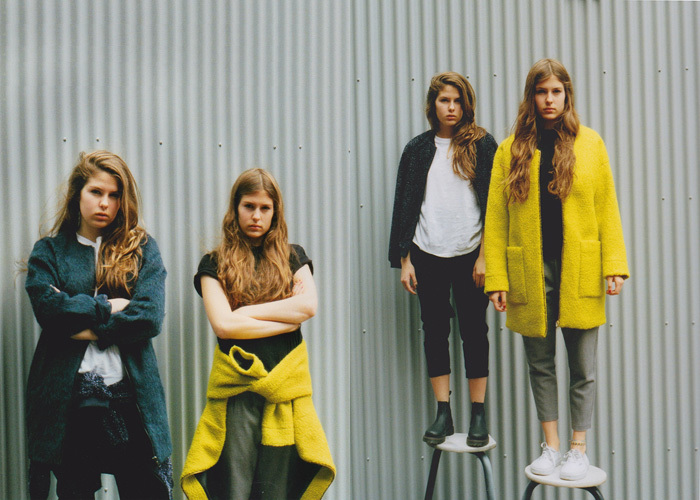 Second row: Mathilde wears a jacket by Topshop, t-shirt by American Apparel, pants by Zara and boots by Dr.Marten. Samuelle wears a jacket by Topshop, t-shirt by American Apparel, pants by Gap and shoes by Vans. 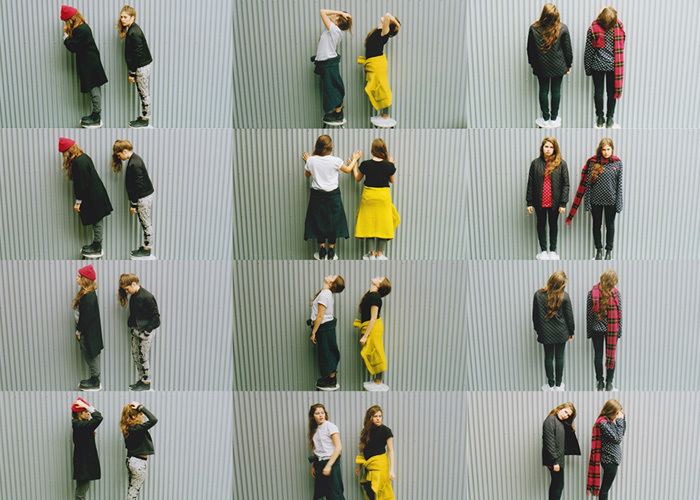 Third row: Mathilde wears a jacket by Topshop, t-shirt by American Apparel, pants by Zara and boots by Dr.Marten. Samuelle wears a jacket by Topshop, t-shirt by American Apparel, pants by Gap and shoes by Vans. Mathilde wears a jacket by Zara, shirt and sweatpants by Club Monaco, beanie by American Apparel and boots by Dr. Martens. Samuelle wears a jacket by Nameless, shirt by Simons, pants by H&M and shoes by Alexander Wang. Photography by Zoé Pelchat-Ouellet and fashion by Frederique Gauthier. Modeling by Mathilde and Samuelle Gauthier.